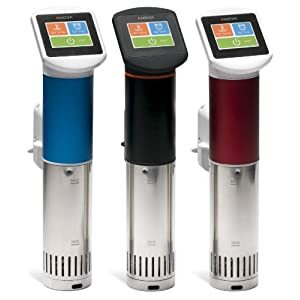 The AsianiCandy Sous Vide Kit includes everything that you need to get started using the sous vide method, not only saves you time, but also saves money. 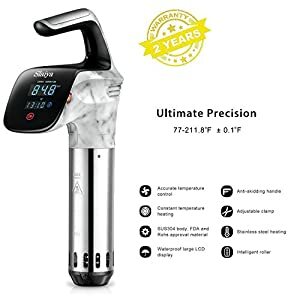 It takes just few seconds to seal your food with the hand pump and the provided white sous vide sealing clip, then place the bag in the water bath and hold securely with our durable Sous Vide Clips – NOW, you can start your sous vide cooking and enjoy the food, so easy! – Bags are made of PA+PE, BPA free, Pump is made of ABS. – Clear bag design, easy to pick out the food you want, each bag has a label for writing down food storing and expiry dates. 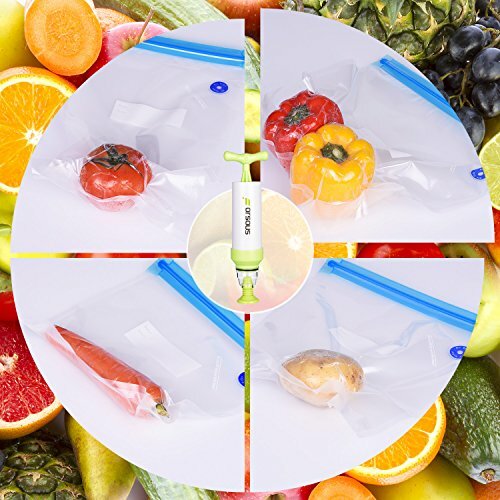 – 10 vacuum sealed bags (26x34cm) & 10 vacuum sealed bags (26x28cm) perfect meet your daily demand. – Hand vacuum pump also can be used with the free gift vacuum bottle stopper to keep open bottles of wine fresh. 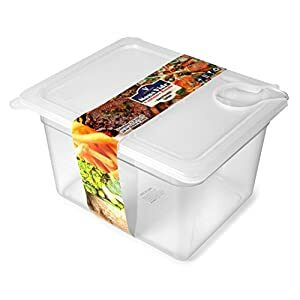 – The bags and pumps can also be used to keep solid and semi-solid food fresh 5 times longer than other traditional storage methods. 1.Package are full inspected before shipping. If there is any absent or damaged parts in your box due to the transportation, please feel free to contact us and we will send you a replacement. 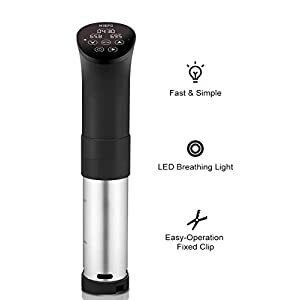 2.Make sure you are following the instructions as the package box showed exactly. 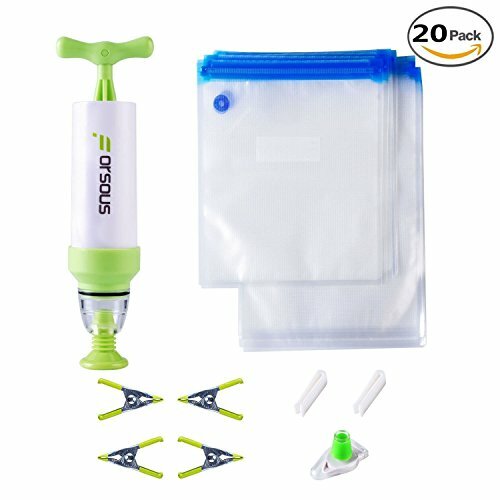 After Pumping out all the air with the hand pump, the bags will stay vacuum sealed with no more work needed. 3. 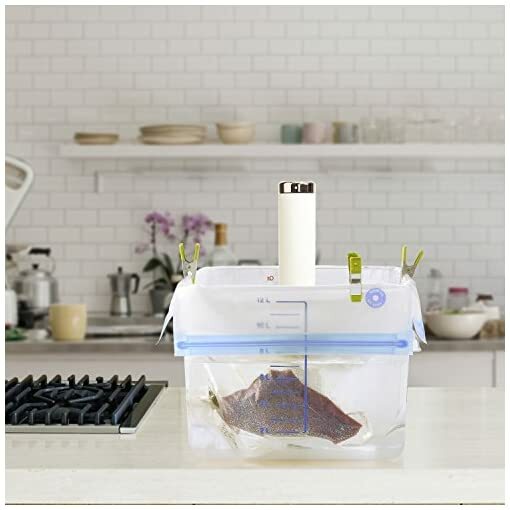 BPA free bags are definitely safe and reusable for food storage and your sous vide cooking. For the sake of your health, please remember to clean it up with dish soap and warm water and store it in a clean and dry place after using. 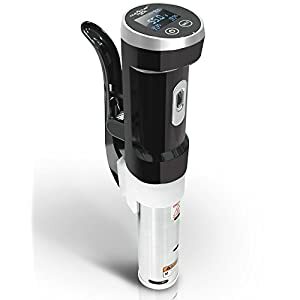 1.ECONOMICAL SOUS VIDE ESSENTIALS KIT – Includes 1 hand pump, 10 vacuum sealed bags (26x34cm), 10 vacuum sealed bags (26x28cm), 4 secure clips and 2 bag sealing clips, and a FREE gift: 1 wine bottle stopper. All in one box. 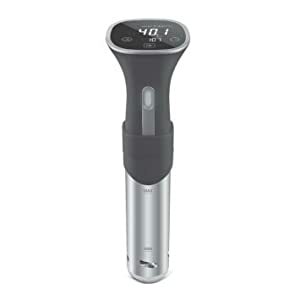 Easy to start using the sous vide method. 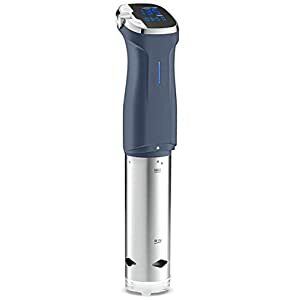 Compatible with Anova, Joule, Instant Pot, Sous Vide Supreme, Nomiku and all of your sous vide cookers. 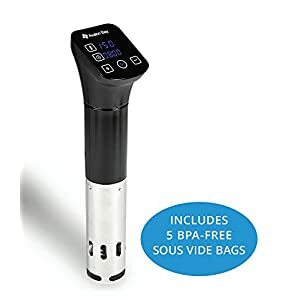 2.FDA APPROVED FOOD SAFE TESTED – Vacuum Sealed Bags are BPA free, FDA approved food safe material, freezer safe & cook safe(sous vide cooking). 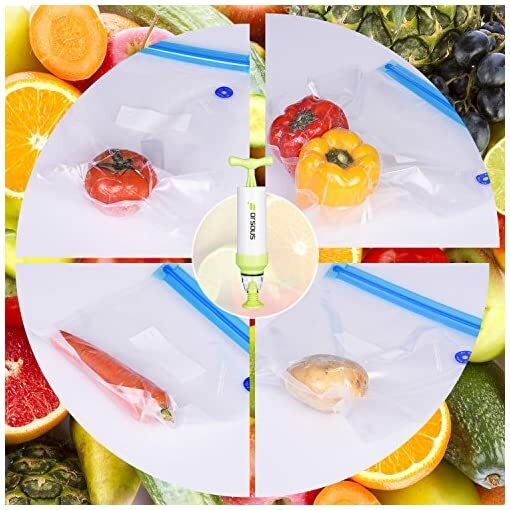 4.STORABLE, REUSEABLE AND INEXPENSIVE FOOD VACUUM SEAL SET- The pump is small enough to easily store and reuse again without the need for expensive vacuum machine; Double zip sealing bag can be reusable up to 9 times. 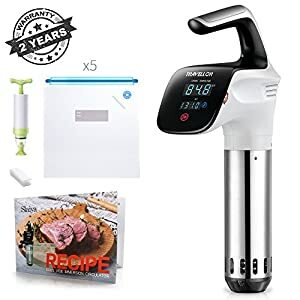 5.MULTIPURPOSE – Reusable vacuum bag is enviromental friendly, designed for use in sous vide cooking, compatible with Anova Sous Vide, Joule Soule Vide, Polyscience Sous Vide, Nomiku Sous Vide or any your favorite sous vide machine. 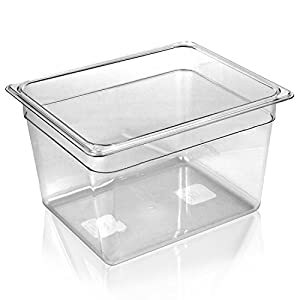 It also can be used for solid and semi-solid food freezer storage, virtually eliminates freezer burn during freezer storage and retard oxidation & growth of bacteria, and keep your food fresh 5 times longer than other traditional storage methods.